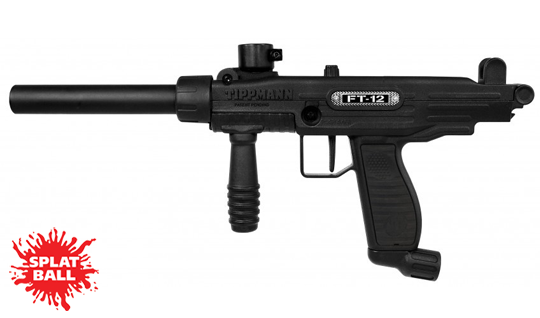 If you’re new to paintball, the Tippmann Paintball FT-12 is a great beginner marker. The Flip-Top design reduces cleaning and maintenance time by 75%. It’s ease of disassembly means you’ll spend more time playing and less time maintaining your gear. The FT-12 also features a top non-cycling cocking handle that keeps dirt and debris from entering marker, 8.5″ high performance barrel, ergonomic vertical grip, 1 ½ inch blade trigger, integrated fixed sights and Tippmann’s World Class 2-year Warranty.